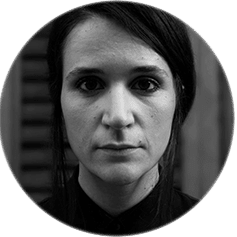 Mónica Rikić is a new media artist and creative coder. She focuses her practice on the code, electronics and non-digital objects to create interactive works, usually framed as experimental games that go beyond the game itself. From educational approaches to sociological experimentations, her interest lies in the de-hierarchization of traditional relationships in art. With her projects, she has participated in different international festivals such as Ars Electronica, Japan Media Arts Festival, FILE Brazil and Sónar, among others, and made residencies at Technoculture Arts and Games in Montreal, within the EMARE programme at QUT-The Cube (Brisbane) and Ars Electronica Futurelab.